So suppose for the moment that net neutrality is an antitrust issue. Does this bill fix antitrust law enough to deal with it? Federal lawmakers have introduced yet another network neutrality bill, but this time with a focus on fair trade issues. This week, U.S. Rep. John Conyers, who chairs the House Judiciary Committee, has introduced legislation that addresses the issue by labeling it an antitrust matter. Conyers' H.R. 5994 would ban discriminatory network management practices by amending the Clayton Act. The bill, labeled the Internet Freedom and Nondiscrimination Act, would require carriers to promote competition and allow people to use any device they want to on the carriers' networks. The bill makes exceptions for emergencies, criminal investigations, parental controls, marketing, and improvements to quality of service. Under the Detroit Democrat's proposed legislation, ISPs could give preference to certain types of data, but they must give the preference regardless of the data source. It would ban ISPs from discriminating based on content, applications, or services. And does this fix the problems Google and Ebay complain about? 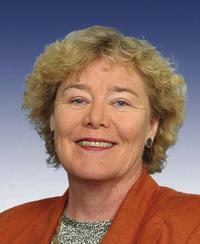 U.S. Rep. Zoe Lofgren, D-Calif., has co-sponsored the legislation. "Recent events have shown that net neutrality is more than a hypothetical concern. We need a meaningful remedy to prevent those who control the infrastructure of the Internet from controlling the content on the Internet," Lofgren said. "This legislation will help guarantee that the innovative spirit of the Internet is not trampled." THE LOOPHOLE PROBLEM OF "NEUTRAL BUNDLING"
"If a broadband network provider prioritizes or offers enhanced quality of service to data of a particular type, it must prioritize or offer enhanced quality of service to all data of that type (regardless of the origin or ownership of such data) without imposing a surcharge or other consideration for such prioritization or enhanced quality of service." The operative paraphrase is “prioritized for a particular data type”, as in a “fast lane” designed to accomodate large content providers like RIAA and MPAA. Under the language, any content provider of the same “data type” that wants access to the fast lane presumably gets it without extra charges or discriminatory TOS designed to bar entry. Therefore the bill endorses the tying of "data type" with "service quality", but it’s “open bundling” rather than “closed bundling” by virture of neutral access by data type from any source - resulting in "neutral bundling". However, the bill does not account for substantial differences in the size of content providers of the requisite “data type”, i.e, many smaller content providers want and need the exposure of the fast lane, but do not need and cannot afford the large minimums of bandwidth and GBs that will surely be tied as part of the “prioritized service quality” to the “data types” of the major players who are in the fast lane - all perfectly “neutral”, just conveniently prohibitively expensive. What are their choices? Normally, many would seek the same or slightly lower bandwidth speed with lesser GBs in order to compete in the fast lane, but there will be strong incentives to withdraw such service and force these players into a much slower “bus lane” by creating a wide gap between the highest speeds and GBs available and the next lowest amounts - all “neutrally available” - the problem becomes what’s no longer available at all. As Markey has said publicly (for H.R. 5353), the best version of net neutrality is simply to unbundle content from the underlying physical broadband service across the board, which is close to what exists today albeit in a fragile state, where a “faster lane” is simply a higher bandwidth tier for a wide range of unbundled data that flows over it. The current language in H.R. 5994 could inadvertently undermine much of the existing net neutrality that exists today. Language needs to be added that anticipates fast lanes with large minimums of bandwidth and GBs, to assure that smaller players of the same “data type” either have access to the fast lanes on some proportionate basis or conversely, cannot be barred entry via disproportionate minimums. Another loophole allows “prioritization” to be technically bypassed by degrading existing service quality to a slow bus lane, then bundling selected content with the residual “fast lane” for which neutral access is not required under the language.